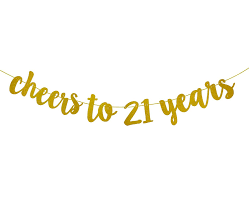 Little did Louise Allen think in 1998 that she would be celebrating her 21st year in business in 2019. 21 years is by no means an average accomplishment especially working in a business that deals with employment. These 21 years has seen some significant cyclical recessions as well as booming employment demand. Over the years Allen Recruitment have finessed the business of 360 recruitment working predominantly in the technology sector with an amazing bunch of people, staff, clients and working with Enterprise Ireland. Louise attributes the success of Allen Recruitment to the technology and software that seamlessly integrates and supports every single activity within the business, freeing up the researchers, talent scouts, sourcers and recruiters to do what they enjoy most – finding and engaging skilled talent and supporting them on their journey. With 21 years of success, knowledge and an ever-evolving business, the future and next set of years looks very bright for Allen Recruitment, who continue to work with some of the biggest clients in Ireland and the rest of Europe and remain a true consultant to their candidates.